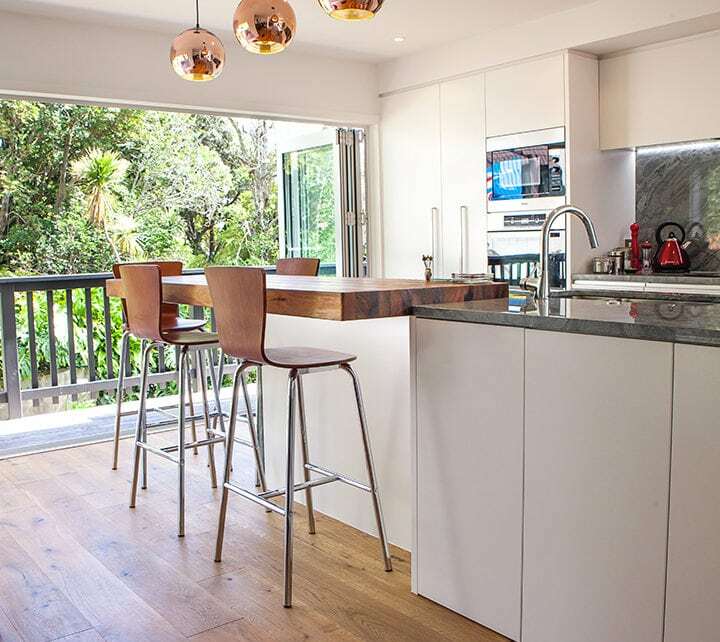 The McLaughlan home is situated in Blockhouse Bay overlooking the Manuakau harbour. 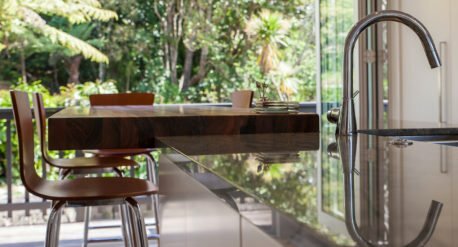 Every inch of this home is beautifully detailed from the internal living to capturing the views of the outdoors. 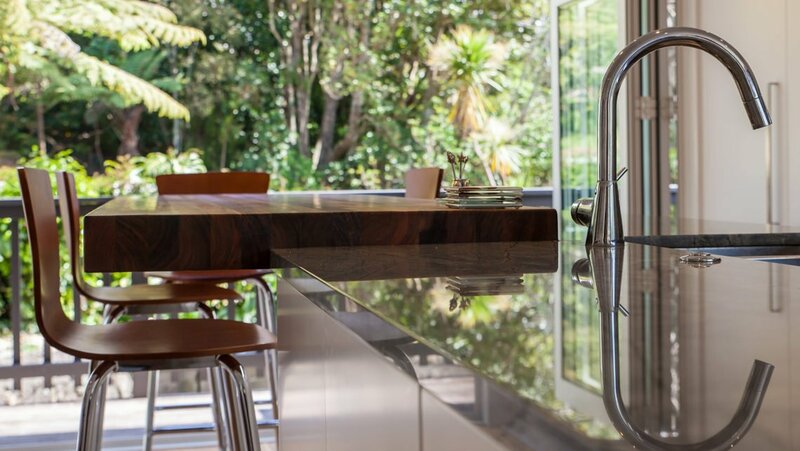 The exterior is a classic vertical cedar slat, with a timber weatherboard finished in Kiwi tradition. 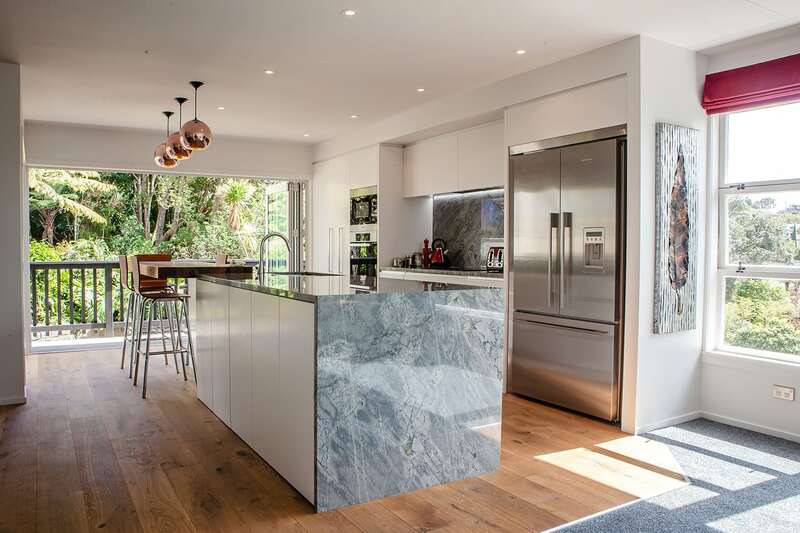 The kitchen in its entirety is a feature of this home, from the marbleised bench top, to the large wooden bar top, which makes a very social entertaining area. 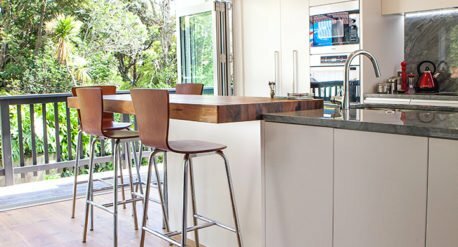 Both the kitchen and dining areas include fitted joinery which makes for a smart finish. 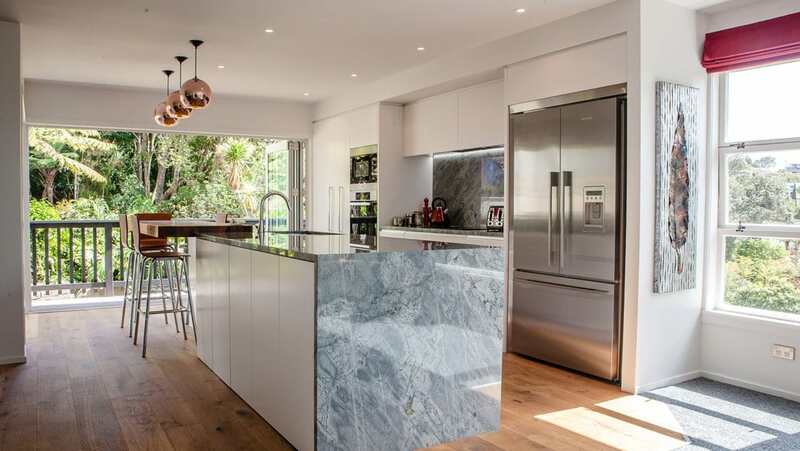 The kitchen feels very spacious as the exterior wall opens out onto a deck with views of the surrounding native bush. David Trubridge lighting adds another decorative element that looks simply stunning throughout the home. 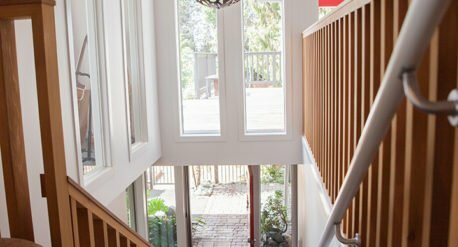 This home was built with teenagers in mind, as it has a teenage retreat and ensuite on the upper level. 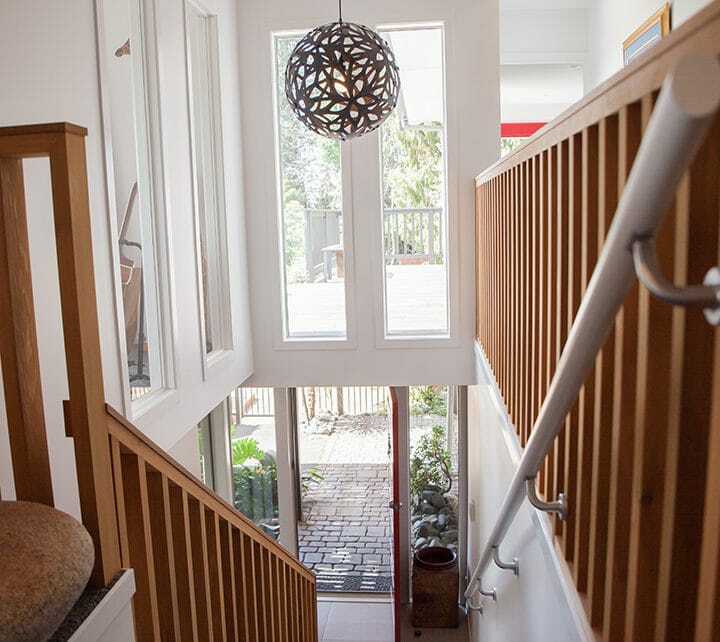 The home caters for a large family with 5 bedrooms, 3 bathrooms and 3 living areas, as well as expansive decking. Not to mention there is a pool to keep everyone entertained throughout the hot summer months.